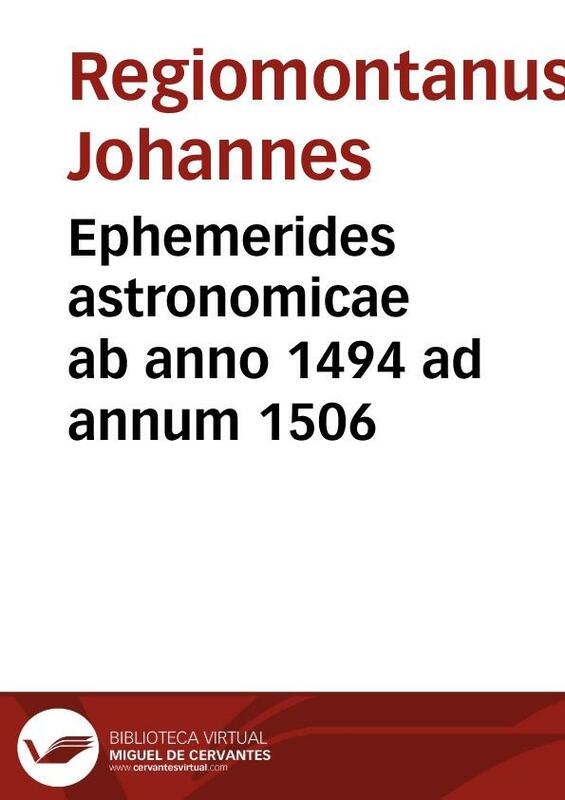 Ephemerides astronomicae ab anno 1494 ad annum 1506 / Johannes Regiomontanus. Colegio Mayor de San Ildefonso (Alcalá de Henares), ant. pos. BHI BH INC I-323. H.C.13794, IGI.5324-A, Goff(Supl.1972) R-109b, IBE.3268.